How to design and construct buildings to maintain livable conditions in the event of extended power outages or loss of heating fuel or water. 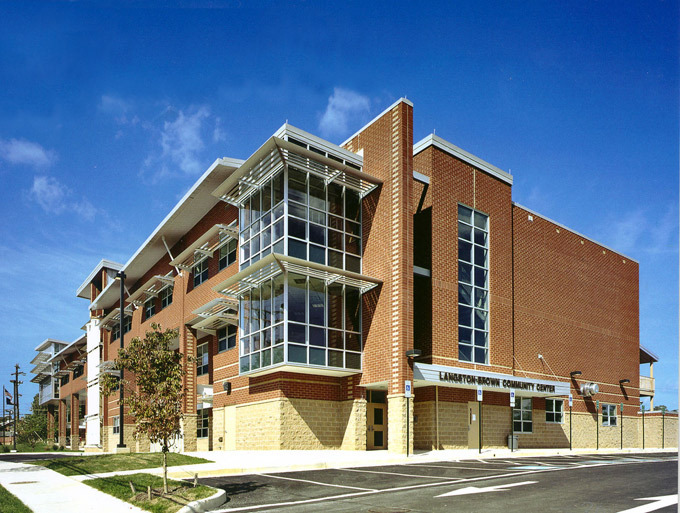 Cooling-load avoidance strategies, like the shades on the southwestern windows of the combined Langston High School and Langston-Brown Community Center in Arlington, Virginia, help maintain livable thermal conditions in a building even when the power goes out. In December 2005 an editorial in Environmental Building News introduced the concept of “passive survivability,” or a building’s ability to maintain critical life-support conditions if services such as power, heating fuel, or water are lost, and suggested that it should become a standard design criterion for houses, apartment buildings, schools, and certain other building types. Since then, the term has begun creeping into the lexicon of green building, though we have a long way to go before the mainstream building industry takes notice. In this article we examine the concept of passive survivability in greater detail and address some specific strategies that can be employed in adopting this design criterion for buildings.